The grille on the 2016 Cadillac CTS-V leaves us speechless… in a good way. I really like the mesh but I hate the size of the grill and how the Caddy badge just sits there with sooo much space/mesh around it. I think the new grille is nice and the crest looks awesome on it. Too bad they aren’t making a CTS-V Coupe (one that would look like the El Miraje concept) this time around. And no, I do NOT like the ATS-V Coupe — it looks too plain. The CTS-V has an agressive yet classic look. I like the mesh grill, I understand the need for it’s size and make-up. The engine cooling and aerodynamics needed for a vehicle with it’s capabilities are difficult to address. I am interested in the car I am going to get a new toy this year and it is near the top of my list. 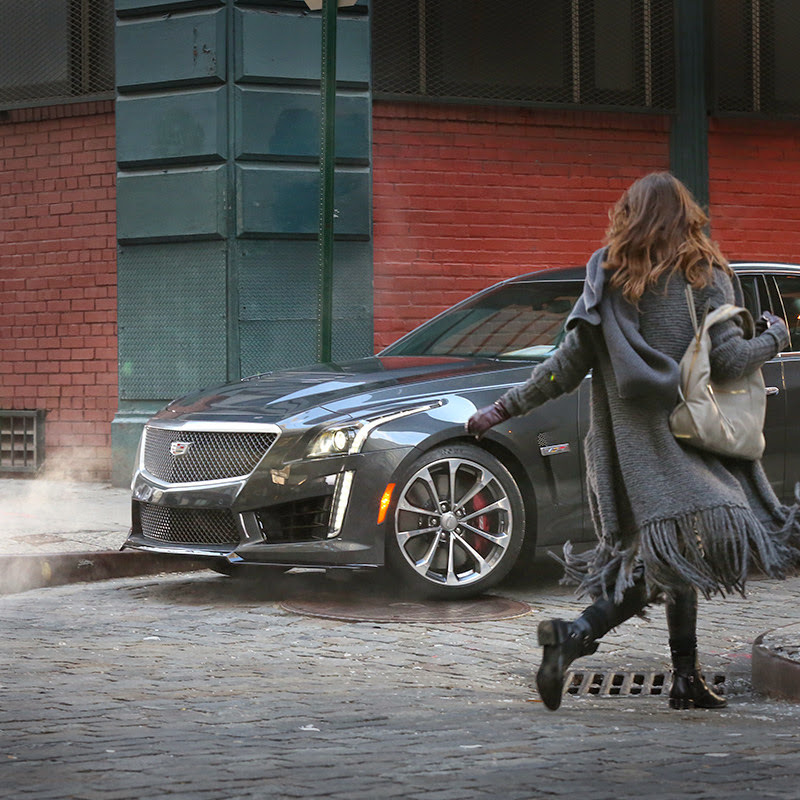 THE CADILLAC CTS-V 2016 HAS A VERY POWERFUL ENGINE FROM THE CHEVROLET CORVETTE Z06 2015. ITS WEIGHT IS VERY LIGHT WEIGHT AND ITS MAXIMUM SPEED IT REMAINS AHEAD OF ITS RIVALS: THE BMW M5 AND THE MERCEDES-BENZ E63 AMG.